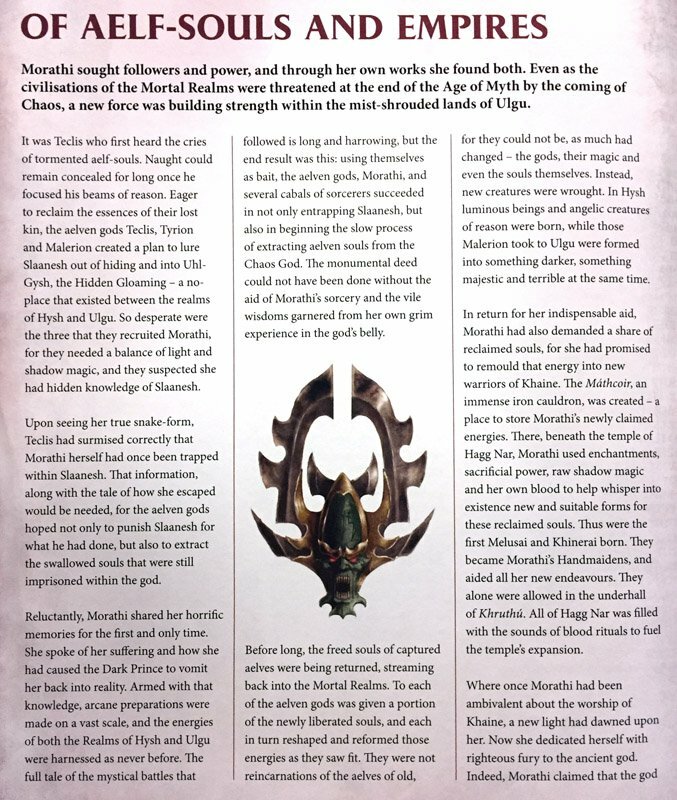 At long last – Battletome Daughters of Khaine – explains what happened to Slaanesh. Since the death of the World that Was and the launch of the Age of Sigmar the exact fate of Slaanesh has been shrouded in mystery. 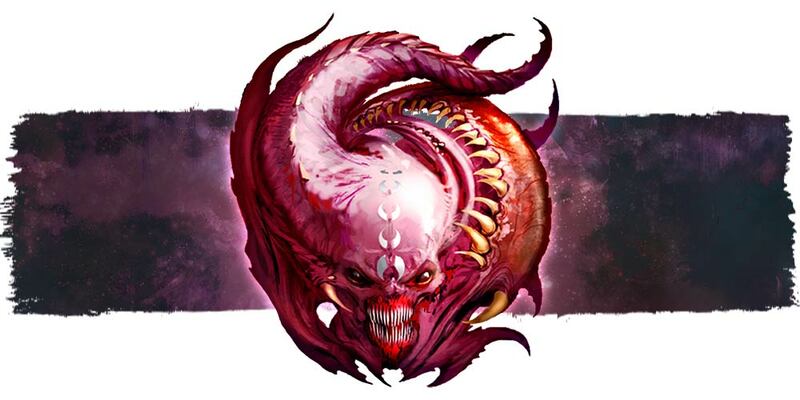 We knew Slaanesh gorged on the souls of the Aelfs as the World That Was died, then went missing and was being tracked by it’s daemons and minions. Finally we know the mighty leaders of the surviving Aelfs – reincarnated in the Mortal Realms had something to do with it. Now, Battletome Daughters of Khaine sheds light on what happened and the future of the Aelves – and the Dark Prince in the future. “In Hysh luminous beings and angelic creatures of reason were born.” aka High Elves reborn. “…those Malerion took to Ulgu were formed into something darker, something majestic and terrible at the same time.” aka Dark Elves reborn. ~ What do you think? It’s a lot to take in.